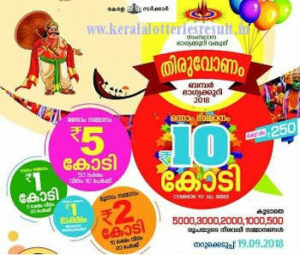 Vishu Bumper 2018, the next bumper lottery from Kerala lotteries ( Vishu Bumper Lottery 2018 ) is on sale. The Kerala Bumper Lottery BR 61 tickets are available to pruchase at the price of Rs 150/- per ticket. Kerala lottery Vishu Bumper 2018 draw will be held on 23.05.2018 and the lottery result of BR 61 will be published on 23-05-2018 Monday. The people who have purchased the Vishu Bumper br 61 lottery 2018 can check result from www.keralalotteriesresult.in web site. Kerala lottery Vishu Bumper 2018 is available in six series VB, IB, SB, HB, UB and KB. The price of each Vishu Bumper BR61 lottery ticket is Rs 150/- . 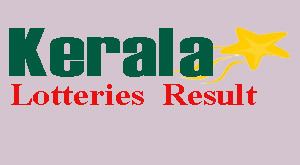 VISHU BUMPER LOTTERY BR-61 Result 23.05.2018 will be published on www.keralalotteriesresult.in web site on after the official declaration of the result.